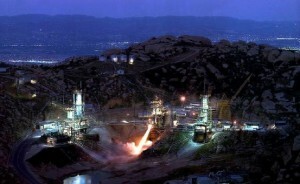 In an historic move to maintain California’s control of the costly cleanup of the former Rocketdyne lab in the hills between the Simi and San Fernando valleys, Cal/EPA Secretary Linda Adams said late yesterday that the agency would oppose federal Superfund listing for the radiologically and chemically-polluted 2,850 acre site. The Santa Susana Field Laboratory (SSFL) is a former rocket engine testing and nuclear research facility where a reactor partially melted down in 1959 with a subsequent partial meltdown in 1964. 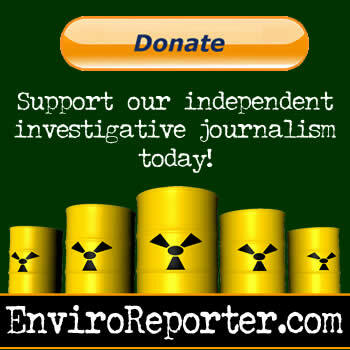 Radiological and chemical dumping and mishaps have left the lab grossly polluted. The unprecedented move codifies SB990, a state bill authored by termed-out State Senator Sheila Kuehl passed in late 2007 that would commit to the daunting task of cleaning up Rocketdyne’s contaminated soil and groundwater to the highest cleanup levels enforced, or “rural residential” standards which assume that occupants of the remediated land are growing food on it. SSFL-owner Boeing has agreed to donate the land as parkland once remediation is completed in 2017, and would have benefited from an U.S. EPA Superfund designation on the National Priory List (NPL) of the most polluted places in America and the likely “open space” or “residential” standards that would follow. Those more lax standards are hundreds to thousands of times higher for allowable radioactive and chemical residue contamination. The potential federal Superfund limit for the radioactive isotope cesium 137 (Cs 137), for example, would be 3,154 times higher than the one now required by the state. Cs 137 has a half life of 30.23 and is toxic in minute amounts. The water-soluble isotope can cause cancer years after ingestion, inhalation or absorption. The higher standards mean higher cleanup costs and will cost the responsible parties — Boeing, the Department of Energy, and NASA — several hundred million dollars. Both the DOE and NASA asked the Bush Administration for last minute listing on the NPL, moves roundly denounced by activists demanding the highest cleanup levels that California requires. SSFL project chief for DTSC, Norman Riley, made clear that the state is fully in charge of the cleanup of Rocketdyne. When asked by EnviroReporter.com about problems with Boeing-supplied data in a December 2007 report on potential offsite contamination, riddled with errors and omissions yet signed under penalty of perjury by a Boeing head, Riley said that the giant aerospace company could face $10,000 a day fines for not complying with DTSC information requests. DTSC had not queried Boeing about the report in question, Riley however noted. 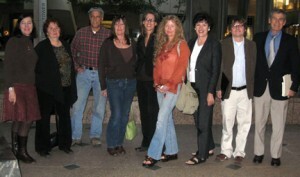 Secretary Adams informed the assembled activists that she would be sending a letter to U.S. EPA later this week stating that California doesn’t concur with Superfund listing for the old Rocketdyne lab, bringing to a close one of the most contentious and uphill battles that a relatively small group of people waged for decades. Making sure that the Santa Susana Field Lab is never developed has always been a major part of what has driven these residents that ring the lab, several of whom have fought cancers that they believe was caused by Rocketdyne. Enshrining the strictest cleanup standards seems like an almost impossible dream come true.